3A Composites USA is pleased to announce the following personnel appointments to support sales of the company’s lines of graphic display boards – including Fome-Cor®, FiberMate™, Sintra®, Gator®, Banova® and Dibond® – in the Americas. Chris Markel has been named northwest district sales manager and will be responsible for sales of 3A Composites’ graphic display boards in western Canada, Washington, Oregon, Idaho, Montana and northern California. Markel, who is based in Seattle, has more than 25 years’ experience working in the graphic display industry. He most recently served as account manager/project manager for Riot Creative Imaging an ARC Document Solutions Company in Seattle. 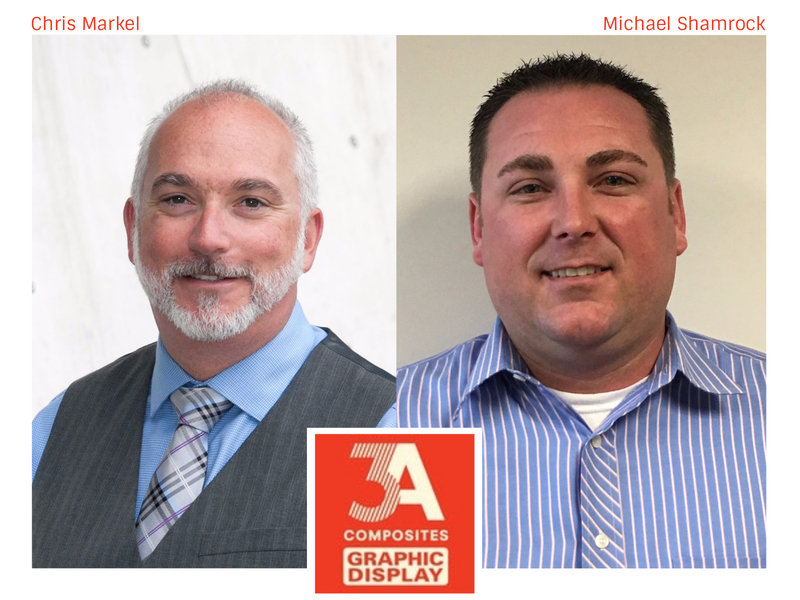 Michael Shamrock has been named southeast district sales manager and will be responsible for sales of 3A Composites’ graphic display boards in Florida, Georgia, Alabama, Mississippi, Tennessee and Louisiana. Shamrock, who is based in the Atlanta area, has worked in the graphic display industry for more than 11 years. Most recently, he served as southeast regional sales representative for Franklin Park, Ill.-headquartered Transcendia, Inc. (formerly Transilwrap Co., Inc.).